Harold Wilson Ronk was born January 31, 1921 in Canton, IL to Robert and Dorothy (Wilson) Ronk. For over 30 years Ronk served as the "singing Ringmaster for Ringling Brothers and Barnum & Bailey Circus. Harold Ronk was a graduate of Bradley University in Peoria, IL where he studied music and theatre. During World War II Ronk served in the Southwest Pacific as a Naval Communications Officer. 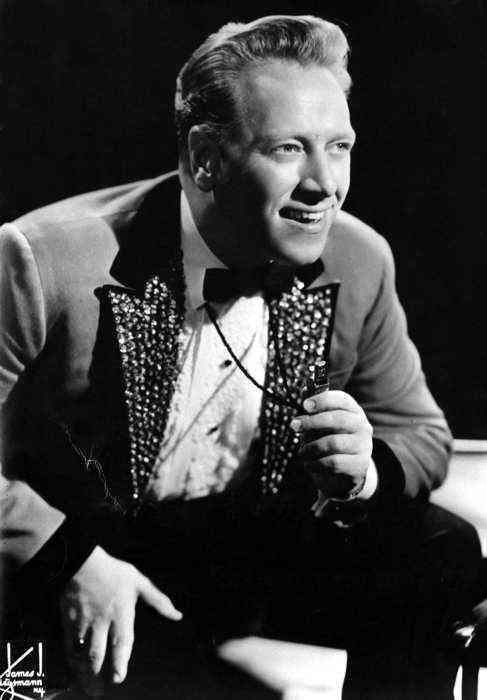 In 1950 Harold joined the Ringling Brothers and Barnum & Bailey Circus as it's original singing ringmaster, Ronk became known as the "Voice of the Circus". Ronk retired form the RBBB in 1981 and returned to his hometown of Canton, IL. On January 01, 2001 Harold Wilson Ronk was inducted into the Sarasota's Circus Ring of Fame.